A gift basket from Rich and Naomi contained several fun and whimsical items including this flowering tea pot. 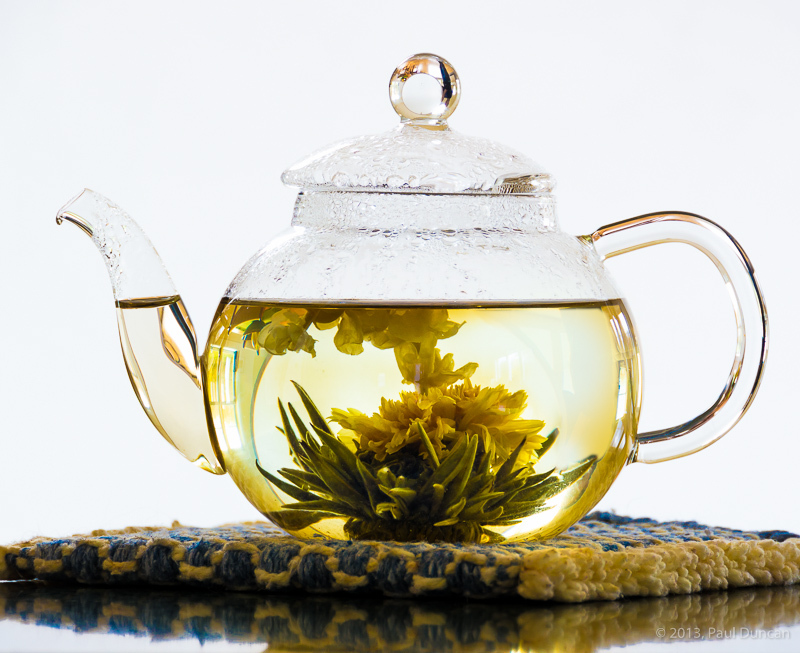 A dried and compressed ball of tea and flowers is placed in the hand-blown glass teapot. Hot water is poured over it and it unfolds into a flower arrangement and brews the tea at the same time. You get a little blooming drama, a flower arrangement, and some brewed tea, all in the same experience. Way cool.